Plus on 1 February, go through your closet and find something red to wear to raise awareness about cardiovascular disease and save lives. Then take good care of your heart and YOU every day! ​You can also check out my list of 10 books below. They have the heart to keep you in good literary shape. This picture book helps children understand how their heart works and how to keep it healthy. A picture book for toddlers, In My Heart introduces emotional aspects of heart. Through rich language and rhymes, the book helps kids identify, accept, and express a range of feelings. From the National Association for Children’s Heart Disorders and Kidswithheart.org this picture book has found its way into the hearts of parents and children fighting heart disease. According to Kidswitheart.org, "Patch doesn't think of himself as brave or strong. He gets upset when he can't keep up with everyone else. But is he really as weak and scared as he thinks he is?" What’s not to love about a Tin Man who is looking for a heart! Baum’s book stands the test of time as a true kid lit classic. ​Gotta love the film version, too! Those scary flying monkeys and Evil Witch just about stopped my heart when I watched as a kid. I adore fantasy and fairy tales! Marissa Meyer’s The Lunar Chronicles series, a fairy tale/sy-fy mash-up, is one of my fave reads. (I just picked the first book in her series, Cinder, for my book group discussion.) Heartless is an imaginative prequel about the Queen of Hearts from Alice in Wonderland. According to Macmillan Publishing, Long before she was the ​terror of Wonderland the maniacal Queen of Hearts was just a girl who wanted to fall in love. Do you remember reading Conrad’s novella in high school? ​It tells of a voyage up the Congo River into the Congo Free State and the so-called heart of Africa, quite a feat in its 19th-century days. Charles Marlow, the narrator, reveals his story to friends aboard a boat while anchored on the River Thames. Raise your hand if you watch this sweet series on the Hallmark Channel <raising my hand here -:D> What about that bombshell cliff hanger from last season! Cultured Easterner Elizabeth accepts a teaching position in the Canadian West, but nothing prepares her for this move. Even though she cares for the children, she is determined not to open her heart to the local frontiersmen until she meets a member of the Royal Canadian Mounted Police. ​This début novel was published when McCullers was just 23. She tells of a deaf man, John Singer, and the people he encounters in a 1930s mill town in the US segregated South. ​McCuller's book was selected in 2013 by the National Endowment for the Arts for its Big Read program to be read and discussed by everyone across America. I’ve read other riveting Picoult tales that tackle contemporary hot-button issues, but Change of Heart is on my to-read shelf. According to publisher Simon and Schuster, it's a ....tale of a mother's tragic loss and one man's last chance at gaining salvation. Can we save ourselves, or do we rely on others to do it? Is what we believe always the truth? Middle-schooler me devoured everything by Poe once my English teacher introduced me to him when we studied the American short story. Tell-Tale Heart is relayed by an unnamed narrator who describes a murder he committed. At the same time, the narrator tries to convince readers of his sanity, although hallucinations and signs of paranoia tell the reader otherwise. Classic scary treat for teens and adults! What books about heart have you read? Which hearty tales are on your to-read list? We're always looking for our next great read, so please share in the comment section below. Not a foodie here, but I admire those who create glorious cuisine and dining experiences in their kitchens. 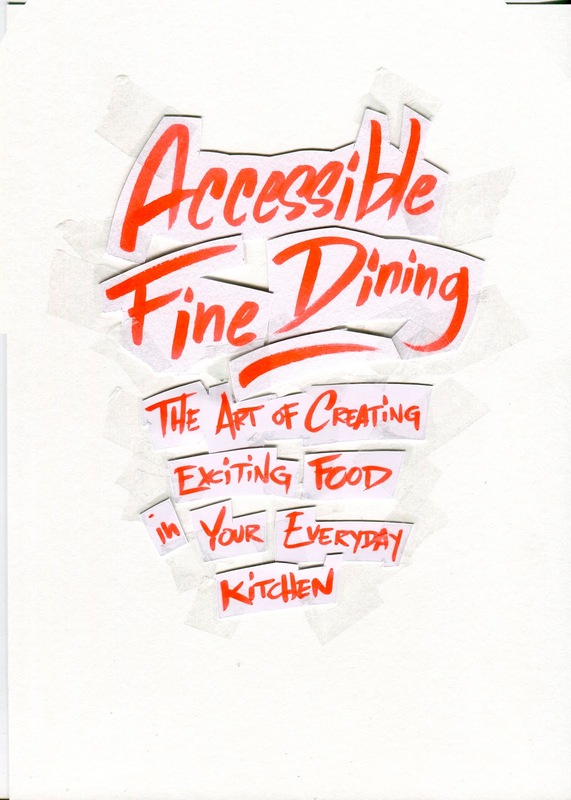 Naom Kostucki, with Chef Quentin Villers, do just that by sharing how to craft exciting culinary encounters in their new book, Accessible Fine Dining - The Art of Creating Exciting Food in Your Everyday Kitchen. Get ready for your taste buds to do the happy dance as you preview their book and feast your eyes on gorgeous dishes. Then meet the authors and read an interview with Noam, owner of Michelin-starred HiR Fine Dining, a one-of-a-kind culinary experience set in the intimacy of his kitchen in the Costa Rican jungle. Within 6 months of opening, one of Noam's plates was selected out of 40,000 restaurants by OpenTable as one of their recommended "25 dishes to travel around the world for." You can also enter a giveaway for a chance to win a grand prize - four seats at Noam’s HiR Fine Dining (a $580 value) - or one of 20 paperback or ebook copies of Accessible Fine Dining. Giveaway ends 7 February. Scroll to the end of this post for details and entry. Good luck and happy tales! start to focus your attention on the different stories a dish can tell. Some stories can be told through your cooking ...."
​How do you come up with new dishes? To be honest, I don’t have a specific method. Something I notice from other chefs is that most chefs I’ve met seem to love cooking for others. They often don’t actually eat in their own restaurants. But for me it’s the opposite. I love eating great food, so I cook for myself combinations I’ve never had before because I love eating food that surprise me. Then when I discover something cool, I share it with guests… and I look forward to eating the leftovers. The day I get bored of the leftovers, I change the dish because it means my heart and guts are not into it anymore. I can only cook food that gets me excited and wanting to eat the dish I’m plating. I mostly come up with dishes by cooking for myself. I use what I have and mix things in ways that I don’t know how it will taste. I’m very content with the idea of not knowing how my food will turn out. At first, it often tasted terrible, but after a few years of practice, I became fairly good and it’s generally at least OK. Now that Nadia lives with me (my life and business partner), we have fun cooking for ourselves and when we’re both impressed by our creation, we find ways to elevate it for guests. We test it with clients and ask them for direct feedback. We explain to them that cooking is a dialogue between us and them. They help us make dishes better by telling us what they really think. They are excited to be part of the creation process. So I’ve learned to ask at the end of every dinner for feedback and thoughts on dishes. That’s how we decide what needs to be changed and what stays. What is your jungle culinary adventure? 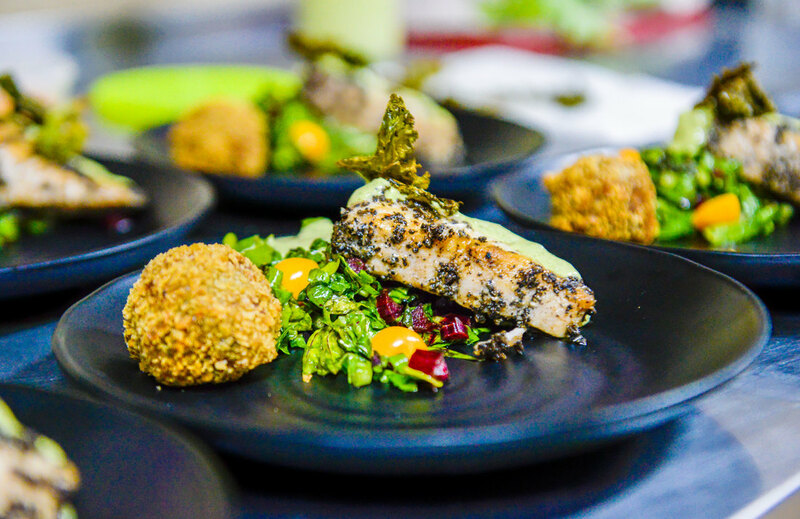 The jungle culinary adventure is a 3-hour, seven-course menu at my home in Costa Rica. These dinners are very private and intimate as we serve a maximum of twelve guests per night, and the kitchen neighbors the table so that we can interact with guests as they eat. During dinners, we’ve been visited by monkeys, cows, dogs, cats, frogs, scorpions and many others. It’s quite amazing to be sitting in the middle of the jungle by a wooden table and eat food that feels like it comes out of a Michelin star restaurant. I like the idea of integrating luxury fine dining with a rustic familiar environment. Fine dining is normally associated with luxury, how do your guests react to the “rustic” and “natural” environment? At first, people are often a bit tensed. You can read the concern on their faces: especially because they’ve had to pay in advance, at first, they wonder if it’s a scam. They can’t believe that the photos of exquisite dishes they’ve seen online come from this rustic natural environment. Seeing me barefoot with my beard and long hair doesn’t help their worries: you can see guest wonder where is the fine dining chef. When they receive their first dish, then you see people relax and their shoulders come down. They take their phones out and grab photos while listening to the description of the dish. Once they’ve finished their first dish, they’re completely at ease and start to fully enjoy the atmosphere. They then make the most of the fact that it’s such a casual atmosphere and we have lovely conversations while they’re eating dinner. At the end of dinners, people often comment on their initial fears and how their expectations when highly exceeded. What was the toughest moment of your fine dining experience? Crissy Sharp's new tale, The Glamorous Life of a Mediocre Housewife, caught my eye as I searched for wholesome adult fiction to share with you beyond my usual children's book posts. Sharp pens a delightful read! Meet Crissy, treat yourself to an excerpt of her book, and download your e-copy on sale for $.99 until 22 January. PLUS..... you can enter to win a $25 PayPal cash or Amazon gift card by scrolling down to the bottom of this post. Giveaway ends 6 February. ​Good luck and happy tales! My writerly pals and I are sharing our hopes - on the writing road and in our family life - for 2019 in our #Gr8Blog hop about what we hope to accomplish in 2019. I’ll be over the moon if I can tick off 3 biggies from my bucket list in the next 12 months. Numbers 3 and 2 are simultaneously scary and super-challenging; my top wish is something I’ve been dreaming about for the longest time. Please check out my 2019 Dream Trio Count-Down. Then be sure to visit the other #Gr8Blogs linked at the end of this post for more smiles and inspirations about 2019 wishes. ​Consumed with rightsizing and building a new home in 2018, most of last year was swallowed with getting life in order. As 2019 settles and my brain declutters, I'm itching to define a new writing direction and pen my next book. But I don't now what that is yet. Sigh. It’s painful to leave my Sweet T Tales. I love those characters and the books' beachy settings. Plus, Irene A. Jahn’s gorgeous watercolors blow me away! But I want to publish books that don’t have hefty printing costs due to multiple color illustrations associated with chapter books. I’m leaning to YA or a cozy for grown-ups, but it’s all so fuzzy. How to find a niche I enjoy writing about AND find new readers for it?!?!? Some days, I feel confident. But I’m nearly always determined. Number two on my count-down falls at that fuzzy intersection of personal and authoring life. ​​Unlike many writing colleagues, I’m an ambivert who generally thrives being around people. After moving from our long-time home this summer, I’ve been meeting new neighbors and sussing ways to connect in my new community, but it is a process that does not happen overnight. Some days I feel like the new kid at lunchtime in junior high school ---You know the one? ---eagerly looking for welcoming spots in a sea of unfamiliar faces busy doing their thing. BEST feeling in the world: seeing first-hand reactions to my tales when I talk with book clubs, libraries, or classrooms about writing. In 2019, I'll seek more such in-person or Skype opportunities to connect with readers, teachers, librarians and booklovers. ​I also want to notch up the quality and quantity of virtual engagements on social media --- this Cat's Corner blog, Facebook and Instagram --- but still keep writing while maintaining reasonable work hours. Anybody have the secret formula for this balancing act -:D? I’ve traveled across the US for business or family visits to the Pacific Northwest. However, JM has never been west of the Mississippi River. That changes this spring as I tick off the top item on my 2019 bucket list .... Hub is traveling with me to Literary Classic's Great American Book Festival and Writers’ Conference in Rapid City, South Dakota. Best, he’ll be at my side at the Literary Classics Book Awards, where I’ll accept a gold medal for writing Sweet T and the Turtle Team, the top children’s book in the environment category. So excited! ​​Hub and I are adding to our adventure with a short stay at Rocky Mountain National Park (southwest of Rapid City, near Denver, Colorado). JM wants to see a bear in the wild. City Girl me, not so much, but I’d be okay seeing one and "shooting" it through my camera's telephoto lens from the safety of a car. This experience feels surreal, and I'm trying to wrap my head around such a wonderful affirmation of five nose-to-the-grindstone years of writing to be bookended by travel adventures Hub and I dream about. Adding to our celebration ... the trip falls on our 25th wedding anniversary ... Yippy! Thanks for stopping by. Most grateful for your company as I jump into mega-unexplored territory in 2019.